Aug 5 A look inside my journal . . .
Last week, Scott asked me . . . Earlier this week, I was journaling at the Urban Grind Coffee House and snapped a few photos of my journal for Scott . . .
As you can see my journal is filled with all kinds of content including, lists, mind-maps, personal letters as well as first drafts of blog posts. Everything goes into one journal because I organize things by date and I also dog-ear important entries. Typically, I write in my journal everyday; sometimes the entry is short and other days it might be ten pages long. Journaling is a key part of my writing practice because it keeps me honest. I’m more likely to write from my heart and less likely to edit my words when I’m writing with a pen. If you don’t keep a journal, I’d encourage you to give it a try. It’s an inexpensive, dynamic medium. For example, you can create mind-maps or draw in your journal. 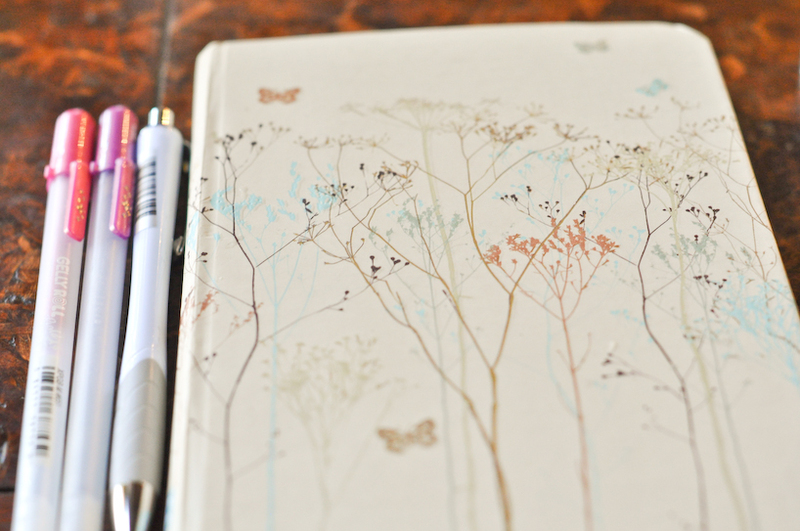 Remember you don’t have to fill your journal with words; it can be a place for sketches, art, or quotes. Write (or draw) what makes you happy. Aug 8 Slow Down . . .